The strategies described in the earlier entries in this blog are being pursued by a number of companies in the U.S. and elsewhere to bring about improvements in the commercial production of ethanol, biodiesel and other biofuels. In the next several entries, I’ll discuss the companies that are pursuing biotech strategies to produce the different classes of biofuels. In each entry I’ll focus on one industry sector, and I’ll analyze the issues facing the use of biotechnology in that sector, I’ll assess the prospects for commercial success, and I’ll provide brief profiles of the companies actively developing modified organisms or conducting biotechnology R&D within that sector. improving the cellulosic or leafy plants or other vegetative material that are the feedstocks for fuel production. improving methods of treatment or pretreatment of the biomass. improving the microorganisms, algae or enzymes that perform or catalyze the fuel manufacturing process. It is true that the biofuels industry includes technology developers other than those I’ll be profiling, particularly including companies developing improvements in chemical or physical processes that are used at various points in biofuel manufacture, but my focus here is on improved biological technologies. I would also note that many of these “biotechnology providers” are also developing technological improvements in other aspects of the production process, such as the downstream processing steps, further blurring the lines between different categories of companies. Such activities are also an example of the kinds of interesting routes to diversification that many companies are taking to maximize their chances for success in the market, a strategy I’ll discuss in later installments of the blog. I’ll also try to observe a further distinction among the biological technology providers. Ethanol, biodiesel and other fuels can be, and have historically been, produced without the use of advanced technology, utilizing many types of organic biomass not having any special properties (notably including waste materials of many kinds) and utilizing naturally-occurring, non-selected varieties of microorganisms or algae. For the most part I will not discuss those companies in the biofuels business that are using or selling nonproprietary components, naturally occurring microorganisms, or traditionally-bred plant varieties, and instead I will be directing my attention to those companies that are using or developing proprietary compositions, methods and techniques using genetic engineering or other advanced biotechnology. However, this is not a bright line distinction, and some of the companies profiled, particularly in the algae sector, are using naturally occurring organisms that have been selected or enhanced using traditional techniques rather than by genetic engineering. With regard to the microorganism and algae companies, I will generally include a company if the organism central to its commercial process is genetically modified, selected or enhanced in any way, or is otherwise “proprietary” to the company. With regard to new plant feedstocks, I will not include companies that are developing or selling plant varieties developed using conventional crop breeding methods, but only those that are developing genetically engineered plants, or that are using biotech methodologies to aid or enhance traditional breeding. Modified microorganisms for ethanol production. Modified microorganisms for butanol or isobutanol production. Modified microorganisms (including “synthetic” microbes) for production of biodiesel, jet fuels, and other petroleum-based fuels. Use of modified microorganisms or plants to manufacture industrial enzymes. Modified algae for biofuel production (biodiesel, jet fuel, ethanol and other fuels). Modification of traditional plant feedstocks (e.g. for ethanol production). Modification of new or alternative plant feedstocks for production of ethanol or biodiesel. The company profiles in the entries that will follow are based on publicly-available information, and include descriptions that have been adapted or excerpted from company websites. URLs will be provided for all profiled companies. I’ll be traveling to Phoenix next week to present a talk on the prospects for the use of advanced biotechnology in commercial biofuels production. This talk, on Tuesday, February 2, will be at the EUEC 2010 Energy and Environment Conference, and I’m a co-chair of a session in the “Biofuels, Biomass & Biogas” Track, entitled “Biofuel Ethanol”. My original motivation to start this blog was to be able to present additional information to supplement this presentation that I won’t have the time to present in the talk. My blog posts to date have covered some of the introductory sections of the talk (mostly providing an overview of the types of biotech strategies that are applicable to different industry sectors and to different classes of organisms). I will continue to post additional content that supports my talk, beginning later this week with discussions and profiles of those companies actively commercializing or researching applications of biotechnology in biofuel production. The first blog post covering the content of the talk is at http://wp.me/pKTxe-7. I’ll be attending two days out of the 3-day EUEC meeting, and during my time at the conference, I’ll be blogging about any interesting presentations I attend or other information I learn about biofuel-related activities. After the talk, I’ll be posting my slides online, and there will be a link to the slides here in the blog – look for that by the end of the first week in February. As always, please feel free to comment or contact me with any questions you may have. 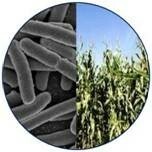 Welcome to the Advanced Biotechnology for Biofuels blog. This blog will discuss new developments relating to the use of genetic engineering and other techniques of advanced biotechnology for biofuels applications. More specifically, I’ll look at the many activities taking place around the world in the private sector and academia directed at the development and use of genetically engineered or other modified organisms for production of ethanol, biodiesel or other transportation fuels like butanol and isobutanol. These activities are so diverse and so widespread, and the field changing so rapidly, that it is nearly impossible for any report to be comprehensive and completely up to date, but I will try my best to discuss as much relevant information as possible in an attempt to be comprehensive. Much of the discussion here will focus on the commercial sector. The companies I’ll profile in this blog are primarily those that are using recombinant DNA genetic engineering or other advanced biotechnologies (e.g. synthetic biology, directed evolution, metabolic engineering) to improve or create specific strains of microorganisms, algae or plants for use in biofuels processes. But frankly, there are now so many ways in which microorganisms and plants can be improved using either “traditional” techniques of mutagenesis or cross-breeding or more “innovative” techniques within the rubric of biotechnology, that the lines can get quite blurry between one technology and another. So, some of the companies to be profiled are not using “genetic engineering” per se at all, or in other cases are using such techniques only in their internal research but their commercially-utilized strains are not genetically modified. I’ll try to make this distinction explicit in the installments to come. A large number of companies in the U.S. and elsewhere are conducting R&D using advanced biotechnology to bring about improvements in the commercial production of ethanol, biodiesel and other biofuels. In this blog, I’ll tend to focus on companies that are all in the category one can call “technology providers”, specifically biological technology providers. What do I mean by this? I use the term to distinguish these companies from the many others that have sprung up in recent years for the commercial production of biofuels. The emerging industrial sector devoted to the production of ethanol and other biofuels includes companies across the whole spectrum of activities from growing, harvesting and selling the biomass that is used to produce the fuel (the “feedstocks”), to operating the conversion process (which may use biological, chemical, or physical means of transformation), to separating and purifying the fuel, and finally storing, selling and transporting the fuel. The companies I’ll discuss in this blog are all creating or developing improvements in one of two particular phases of the production process: either improving the cellulosic or leafy plants or other vegetative material that are the most common feedstocks for fuel production, or improving the microorganisms, algae or enzymes that help catalyze the biological transformation of biomass to fuel (or in the case of algae, converting sunlight and carbon dioxide to fuel). It’s certainly true that the biofuels industry includes technology developers other than those profiled here, particularly including companies developing chemical or physical catalytic methods or other types of process improvements for use at various points in the production chain, but my focus will solely be on improved biological technologies. But it’s also true that many of the “technology providers” in this category are also developing technological improvements in downstream processing, further blurring the lines between different categories of companies. I will also try to observe a further distinction among the biological technology providers. Ethanol, biodiesel and other fuels can be produced without the use of advanced technology, utilizing many types of organic biomass not having any special properties (notably including waste materials of many kinds) and utilizing naturally-occurring, non-selected varieties of microorganisms as the catalyst. For the most part I will not be discussing those companies in the biofuels business that are using or selling nonproprietary (i.e., generic) components, and I’ll instead focus on those companies that are using or developing proprietary compositions, methods and techniques using genetic engineering or other advanced biotechnology. However, this is not a bright line distinction: some of the companies to be profiled, particularly in the algae sector, are using microbial strains as biofuel catalysts that are proprietary, but which are naturally occurring or in some cases selected or enhanced using traditional techniques rather than genetic engineering. With regard to the microorganism and algae companies, I’ll generally include a company if the organism central to its commercial process is genetically modified, selected or enhanced in any way, or is otherwise “proprietary” to the company. However, for the companies focusing on development of novel plant feedstocks, I plan only to include those that are improving the plants through biotechnology, or at least are using biotech methods in their research (e.g. as a tool to enhance breeding efforts) and I won’t be including companies that are simply growing improved, but traditionally-developed, cultivars of known feedstock crops. In addition to describing the lay of the land within the industry with company profiles, I’ll touch on several other important topics for the commercial use of advanced biotech for biofuels. I’ll discuss and highlight promising research and inventions arising from academic institutions, government labs, and other non-profit institutions, and will hopefully be able to highlight technologies that might be available for licensing. I’ll examine some of the innovative strategies that companies are taking to gain a competitive edge, such as integrating proprietary biofuel production processes with downstream process improvements, or by coproduction of “green” chemicals. I will also try to discuss the economic factors affecting the use of genetic engineering in biofuel production and assess the prospects that advanced biotechnologies will play a significant role in the biofuel industry in the coming years. I’ll also spend some time discussing the impact of biotechnology-specific laws and regulations on the uses of genetic engineering and other biotech methods in biofuel production. This is a longstanding interest of mine, with experience and expertise in dealing with U.S. government regulatory agencies going back to the earliest days of the biotech industry in the 1980s (http://dglassassociates.com/REGUL/biofuels.htm). Commercial uses of engineered or modified organisms for biofuel production may be affected by the biotechnology regulatory framework that exists in the United States and other countries. There has been a widespread perception that these regulations are prohibitive to deal with or that compliance is necessarily time-consuming and costly – I hope I will be able to dispel these misconceptions, and show that for most projects involving engineered organisms, regulatory approval should be straightforward and not difficult to obtain. So, I hope you find this blog to be informative, and that you follow it and the installments to come. Please feel free to add your comments or to contact me with any questions you may have.